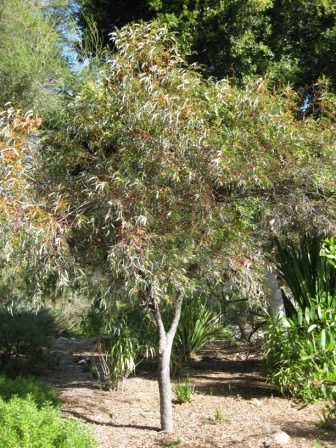 Ornamental upright or spreading small tree to 30' with pink-red flowers winter through summer. Tolerant of extended dry periods and moderate frosts. Grows well in alkaline soils and tolerates some salinity. Usful windbreak and erosion control. Long lasting cut flower. Excellent small tree for smaller gardens.